Avengers - Re: Interesting. Thanks. 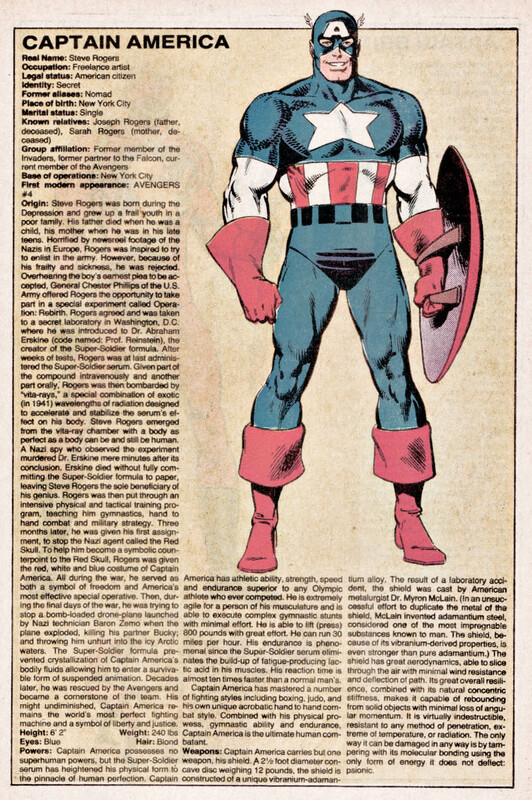 -wasn't it confirmed by Stern/Byrne that it was officially just "STEVE"? 1. Steve's middle name isn't Grant. He doesn't have a middle name. 3. Steve's father wasn't a diplomat and his parents weren't named Walter and Elizabeth. 4. Cap didn't grow up in Maryland. I don't think whether Steve was short for Steven came up. 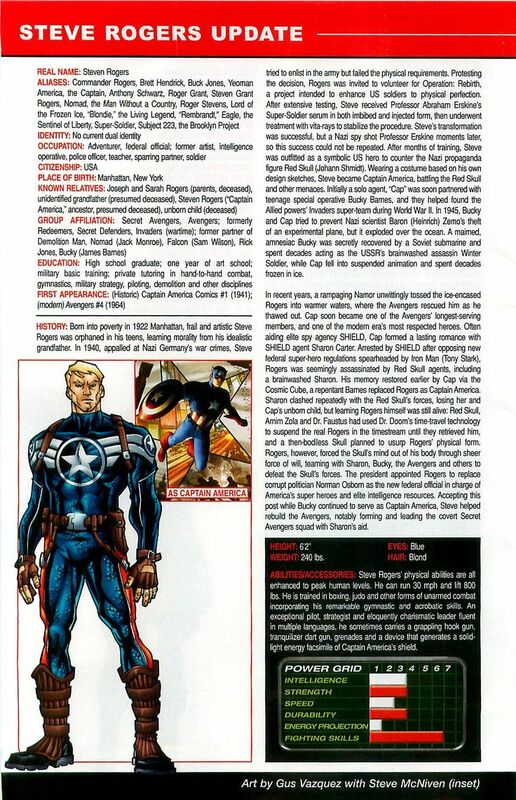 The broad details the government came up for Cap's backstory was based on the family of a man named Walter Rogers from the State Department. He lost his sons Mike and Grant a few weeks earlier at Pearl Harbor. Steve meets Walter before he gets the false memories.